Trust. It’s a big thing when you’re looking at installers to put in a fence on your property. Whether for commercial use or residential use, Hohulin Fence is the one to choose for the most experience and skill in the industry. Our contractors are highly trained, staying abreast of the latest trends in installation and product quality. We are happy to be a forward-thinking company as a LEED-certified business. This means we use recyclable products whenever possible. Our dependability and long-lasting success put us in a position of leadership in the local fencing industry throughout Bloomington and beyond. From chain link to ornamental fencing, we have what you need. 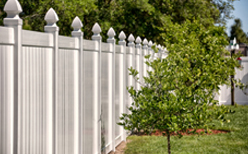 Reaching top levels of satisfaction and service since 1897, it’s in your best interest to choose the fence contractors Bloomington IL trusts. If you need high-quality fencing, gate and railing products, choose the trained contractors that have a proven reputation for more than 100 years. Hohulin Fence was established by brothers Sam, Tim and John Hohulin, sons of Gottlieb Hohulin. We are proud to say our company was the first in the country to commercially manufacture chain link fence fabric. 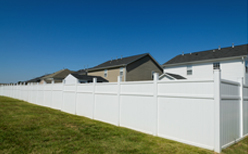 So, if you need help deciding which type of fence you need, come to us. We serve home and business owners in all surrounding areas beyond Bloomington, such as Peoria, East Peoria, Pekin and Springfield. If you have questions about the fences and other products our contractors install in Bloomington IL, contact us at 309-316-1008. You can also email us at info@hohulinfence.com. We are located at 116 South Harrison Street in Goodfield, IL.